Are you looking for a washing machine that protect not only your clothes but also the environment? Samsung is proud to introduce the Eco Bubble technology. With Eco Bubble technology washing clothes now has a lesser impact on the environment as it is utilizing less energy on every wash load. With Samsung you will get simple solutions to all your laundry needs. 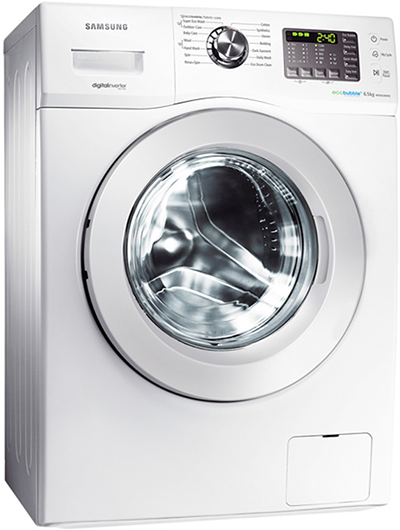 If you need Samsung washing machine repairs in Perth, Perth Washers are the team to call. Contact us today.